Special thanks to Restaurant House Of Food for extending this food review invitation. 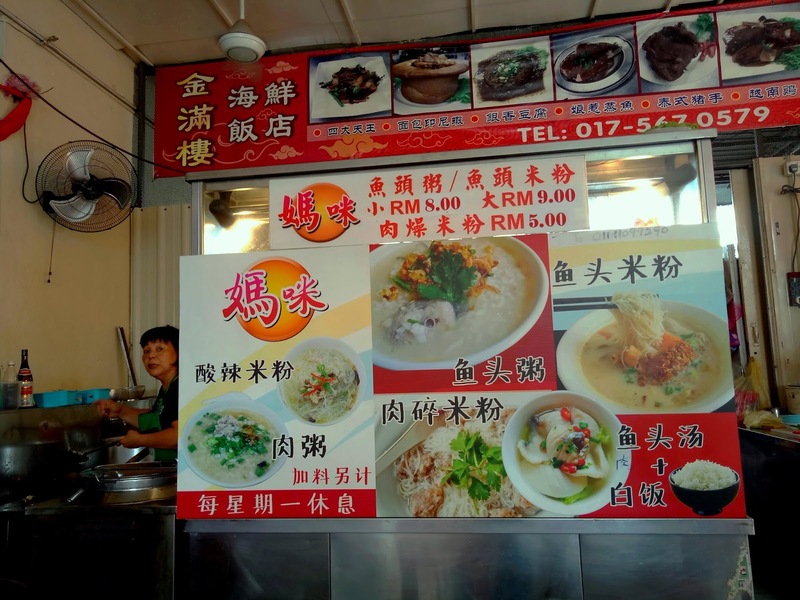 Restaurant House Of Food (好口福美食中心) is a modest hawker center at Taman Bandaraya, Bukit Mertajam. It is within a short distance from St. Anne's Church. 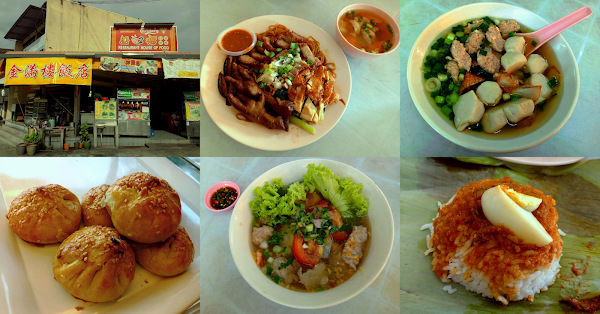 There are around 10 stalls serving various hawker fare. It is not uncommon to see the place packed with customers on weekends. 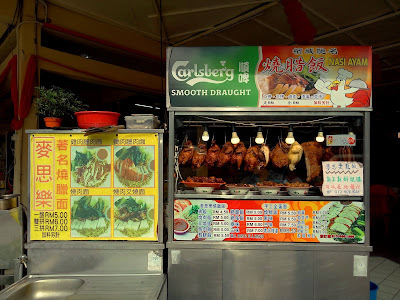 Marcellus Famous Chicken Rice (麦思乐著名传统烧腊饭) is the flagship stall here. 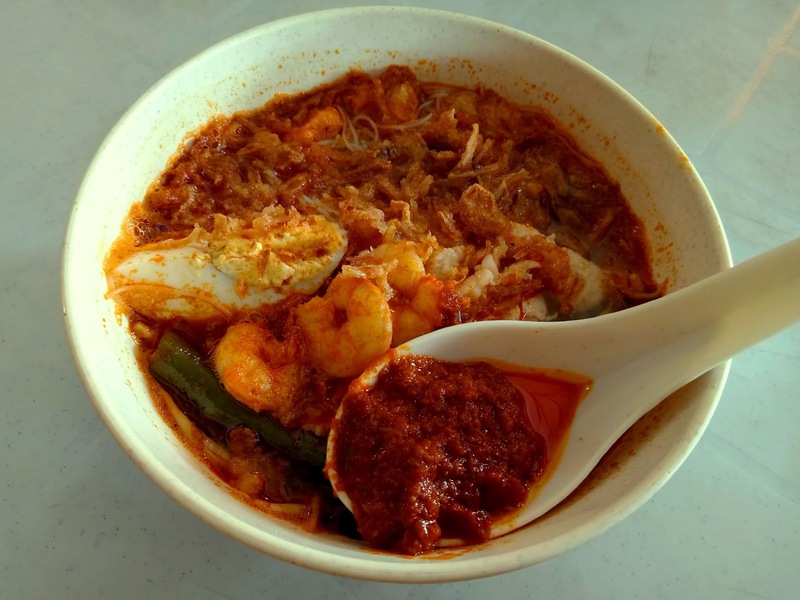 In lieu of rice, customers can order homemade egg noodle (手工全蛋面) instead. The noodle is of premium quality as it contains high egg content. In fact, the springy noodle does not have any unpleasant taste of lye water (碱水). At Marcellus, the choices of meat include char siew (叉烧), roast pork (烧肉), roast chicken (烧鸡) and chicken feet (凤爪). The noodle also comes with a bowl of soup. The type of soup varies daily; today it is carrot and onion soup. Meanwhile, the stall's chili sauce is homemade and is based on Marcellus' own formula. 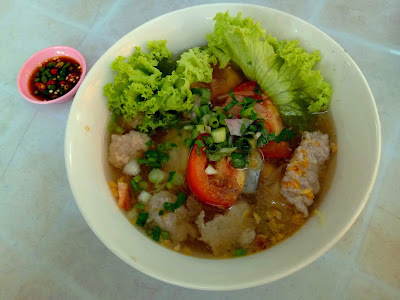 Speaking of homemade food, the Lor Bak (卤肉) uses pork slices (肉片) as opposed to minced pork (肉碎). As a result, the snack feels quite dense. 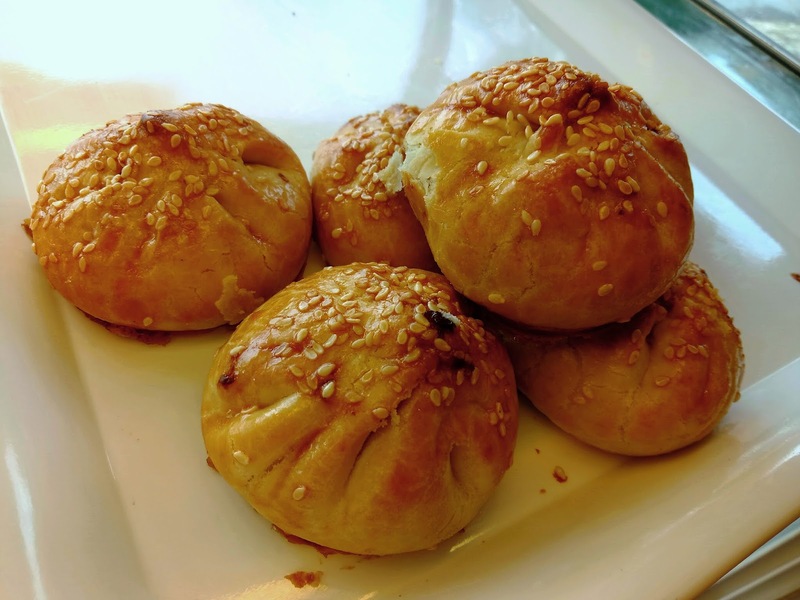 Lor Bak is seasoned with five-spice powder (五香粉), wrapped with tofu skin (豆腐皮), and then deep-fried to golden crispiness. Another stall here serves Hokkien Mee (福建面). The broth is prepared from pork bones and shrimps. Also included in the spicy broth are shrimps, sliced pork, hard-boiled egg, water spinach and fried shallots. Chili paste is provided separately in a spoon. 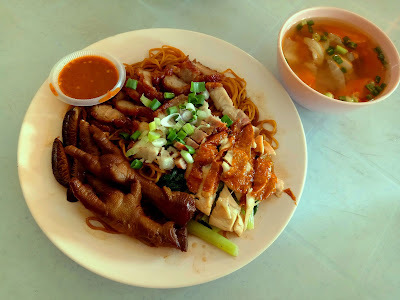 The same stall also serves Dry Hokkien Mee (福建面干) and Loh Mee (卤面). Kee Mei Siew Pow (奇美烧包) is a famous Cantonese pastry shop in Seremban. 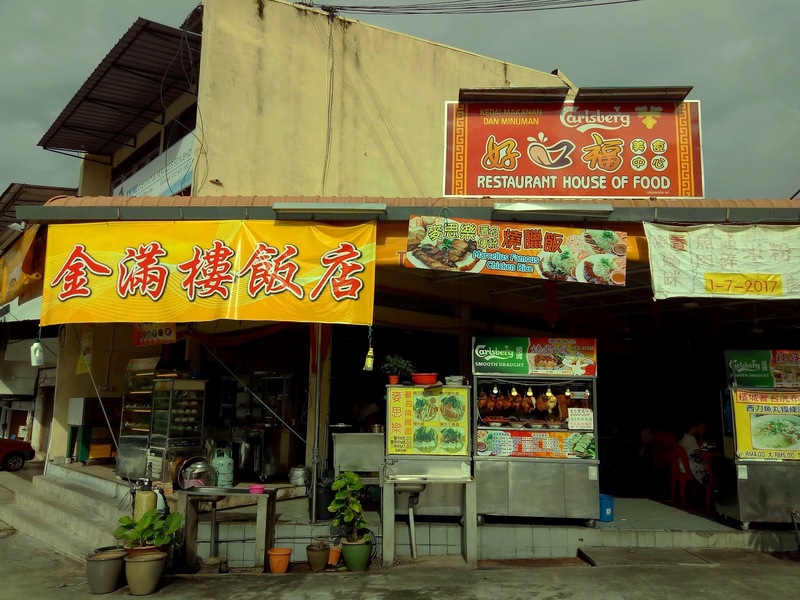 Restaurant House Of Food is one its distributors here in Penang. 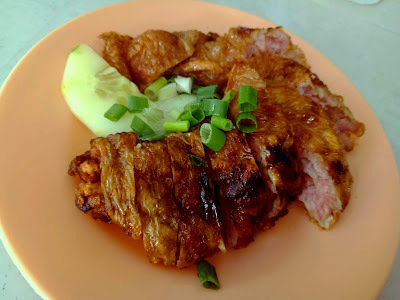 There are two types of siew pow (烧包): chicken and pork. As soon as the buns leave the oven, their fragrance is simply mouthwatering. As for Mummy Fish Head Soup (妈咪鱼头汤), the fish is supplied by the proprietor's relatives who are fishermen in Kuala Kurau, Perak. The choices of fish are leather jack (鸡肉鱼), silver pomfret (白鲳), barramundi (金目鲈) and more. Deep-fried fish is also available. The fish's freshness is guaranteed. If it falls short of customer's expectation, the proprietor is willing to replace it with a new bowl. Mummy Fish Head Soup is prepared from fish head and meat stock. No chicken is used. Despite its rich taste, the soup is pretty soothing to the palate. The soup is meant to go with white rice. Alternatively, the stall also offers porridge and rice vermicelli (米粉) versions. Koay Teow Soup (粿条汤) is essentially flat rice noodle (粿条) in pork-based soup. 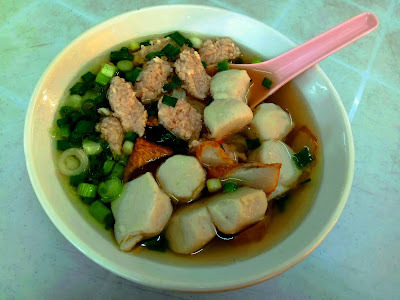 The springy fish balls are made from whitefin wolf herring (西刀鱼). Other ingredients are minced pork and fishcakes. The dry version of this dish is also available. 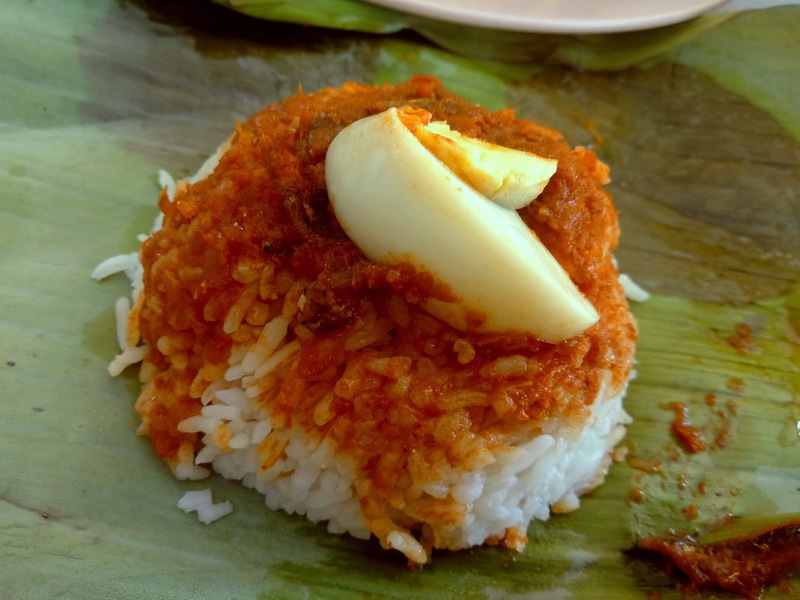 Prepacked Nasi Lemak is prepared too but is often sold out early in the day. Wrapped in banana leaf, the savory rice retains its moisture and absorbs some aroma from the leaf. Essential ingredients for Nasi Lemak are sambal (chili paste), ikan bilis (anchovies) and hard-boiled egg. 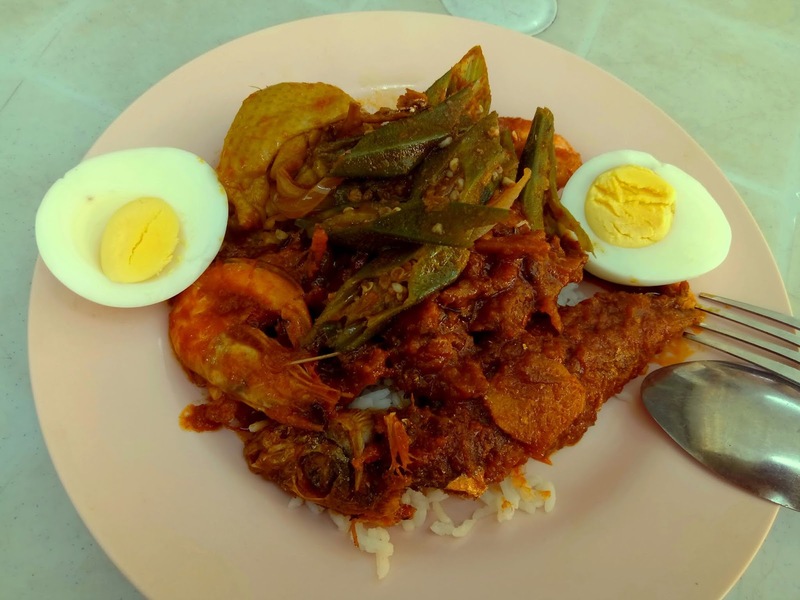 Should customers prefer more dishes, Nasi Lemak is also available à la carte. Today's dishes include curry chicken, chili prawns, fried fish and fried okra (lady's fingers). At Restaurant House Of Food, Nutmeg Juice (豆蔻) is sourced from Balik Pulau. 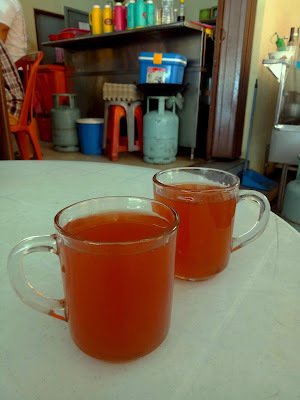 Red nutmeg juice is prepared by boiling nutmeg seeds, while white nutmeg comes from blended nutmeg. The drink's unique taste gives it superb thirst-quenching properties. In addition, Restaurant House Of Food also serves Char Koay Teow (炒粿条), Hong Kong Dim Sum (港式点心) and Pau (包点). The above-mentioned dishes are generally available until 4:00pm. In the evening, the restaurant serves Chinese stir-fried dishes (煮炒). Some of the signature dishes are Braised Pork Knuckles (红烧猪脚筋), Indonesian Curry Prawns With Bread (面包印尼虾) and Nyonya Steamed Fish (娘惹蒸鱼). Directions: From Taman Sentosa, drive west on Jalan Kulim towards Kulim. After passing St. Anne's Church on the left, turn right at the next traffic lights. Restaurant House Of Food is the first shop around the corner.